Kevin Halsey has been a Heavy Games competitor since 2002. 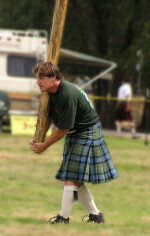 He participated in the 2010 Woodland games. 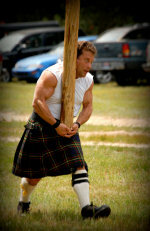 He resides in Oregon with his wife Kenna, who is also a Heavy Games competitor. Ray Mabey began throwing in 2008. 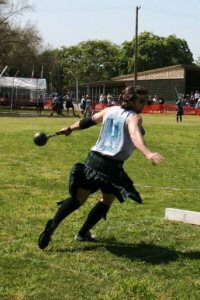 In 2010, he competed in 14 games including the prestigious invitational Pleasanton Scottish Highland Gathering and Games where he was 3rd in the US Championship Caber for the Masters 40-49 class. He finished 1st in 3 games, 2nd in 4 games, and 6th in the Masters World Championships in Denver, CO. He resides in Oregon and is originally from Alaska. Mark Peterson does "double-duty" at the games in Michigan by acting as a convenor as well as an athlete. He competes as a Master and will compete in the Masters World Championships in August 2010.